The Gordon Parks Foundation announces the opening of a new exhibition. 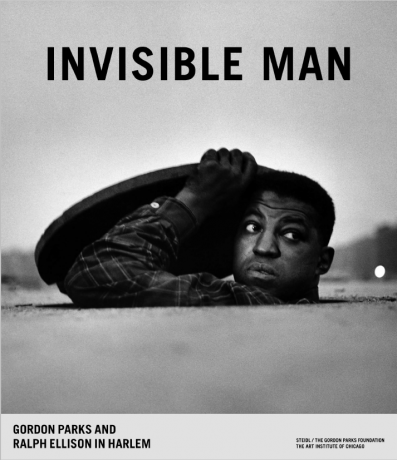 Invisible Man: Gordon Parks and Ralph Ellison in Harlem is an exploration of Gordon Parks’ photographic interpretation of Ralph Ellison’s National Book Award winning novel Invisible Man. Published in 1952, the novel has been hailed as one of the first to treat the black experience in twentieth-century America as a full human experience. 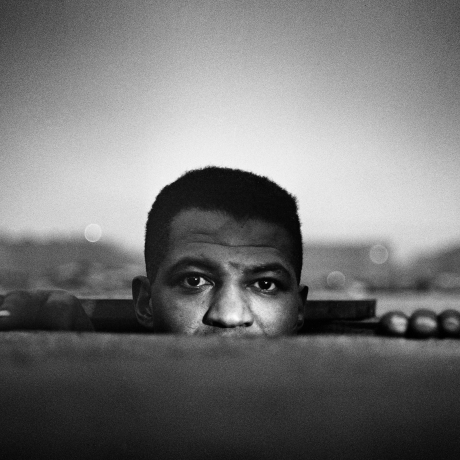 Soon after its publication, Gordon Parks set out to evoke passages from the novel for Life magazine. He staged an actor around Harlem, where both he and Ellison had lived, and recreated poignant scenes from the story; his photoessay titled “A Man Becomes Invisible,” published in the August 25, 1952 issue of Life, introduced Ellison’s novel – and the societal issues it raised - to the magazine’s wide readership. These images testify not only to the book’s deep impression on Parks, but also illustrate the photographer’s expanding vision and technical expertise in his first few years on staff at the magazine. A prime example is the photograph Invisible Man Retreat, which closes the Life article. The protagonist’s subterranean retreat – the “hole in the ground” – serves as his home after he is forced into hiding on the evening that riots break out in Harlem. The scene remains at the center of the novel—it is where the protagonist recounts his story, and the place where that story starts and ends. Parks leads a long line of artists inspired by Invisible Man. 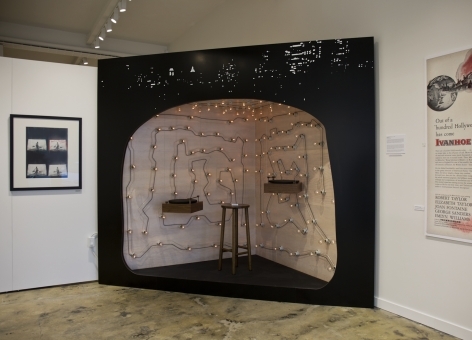 Untitled, 2017, an installation by mixed-media artist Radcliffe Bailey (American, b. 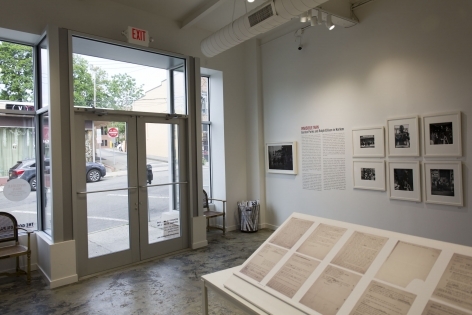 1968), brings the “hole in the ground” to life; it is included in the exhibition on loan from the permanent collection of The Studio Museum in Harlem. 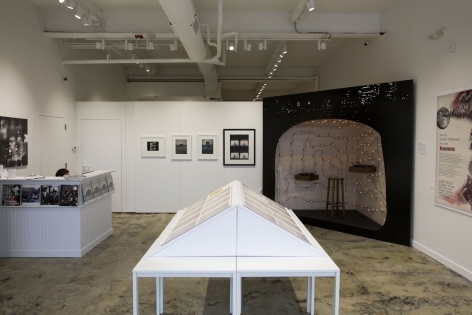 This exhibition features both published and unpublished photographs from this series. It also includes archival material illustrating the production of the photographic recreations, as well as the final Life article. 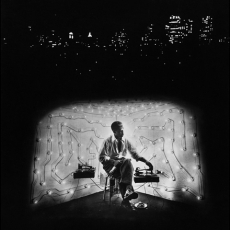 Parks’ and Ellison’s collaboration was the subject of the major 2016 exhibition titled Invisible Man: Gordon Parks and Ralph Ellison in Harlem at the Art Institute of Chicago as well as a publication of the same name, which will be on sale at the exhibition space. 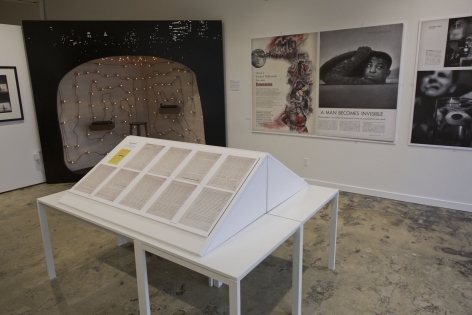 The exhibition will run from June 12 through September 9 and is free to the public. 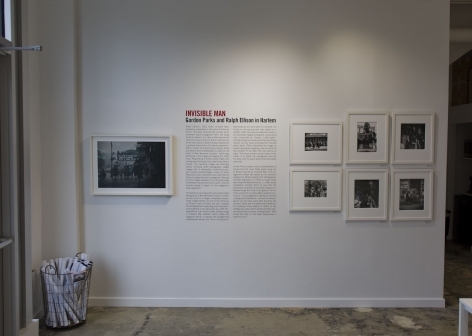 Invisible Man: Gordon Parks and Ralph Ellison in Harlem is an iteration of the exhibition and catalogue Invisible Man: Gordon Parks and Ralph Ellison in Harlem curated and written by Michal Raz-Russo, and organized by the Art Institute of Chicago, in collaboration with the Gordon Parks Foundation.